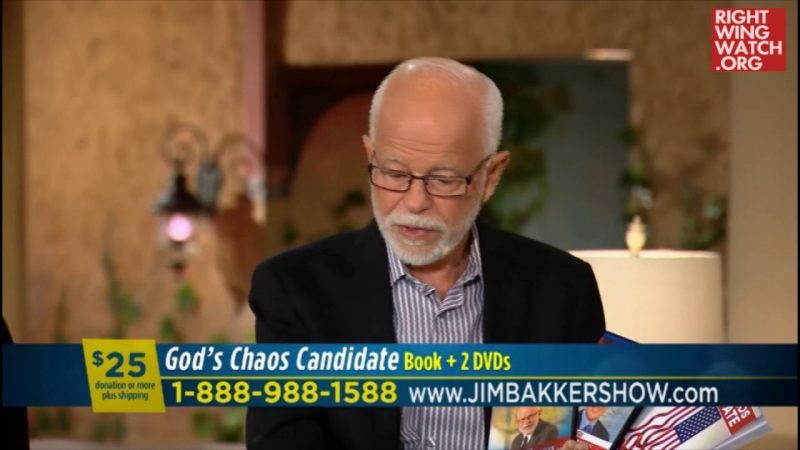 Right-wing televangelist and End Times prepper Jim Bakker hosted an election night broadcast at which jubilation erupted once the networks began officially declaring that Donald Trump had won. 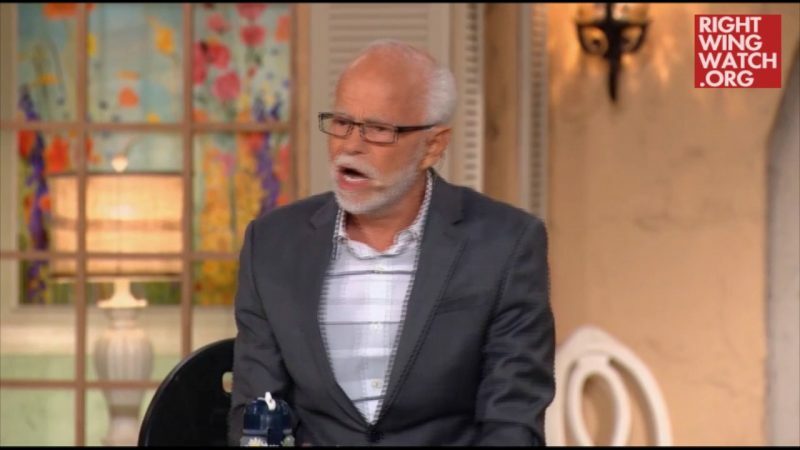 “Donald Trump is president!” Bakker declared, as music began playing and audience members danced in the aisles with joy. 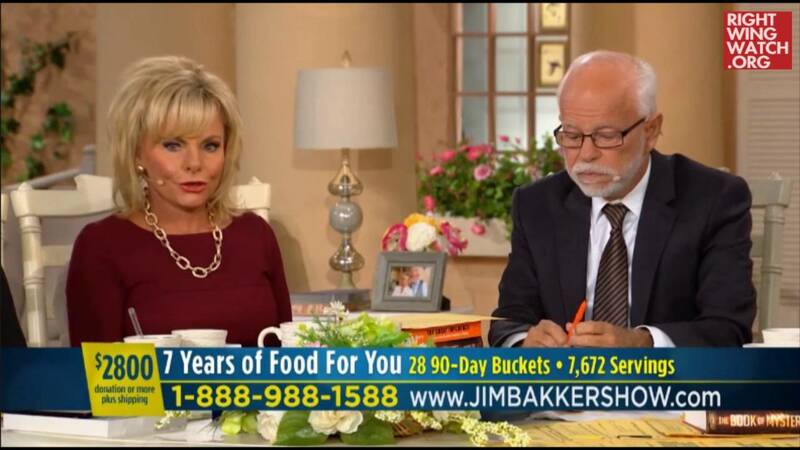 Now that Trump has saved America, does that mean Bakker can stop relentlessly pushing the sale of his End Times survivalist food buckets?